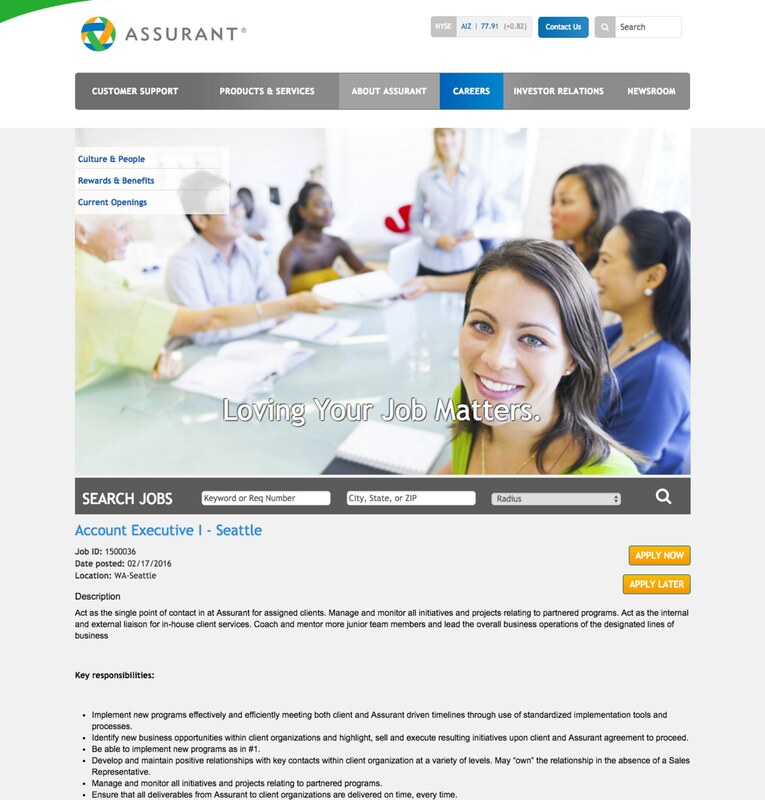 I look at hundreds of job descriptions every week and I think the JDs by Assurant insurance (example below) are some of the better ones powered by Taleo’s applicant tracking system that I’ve seen in a while. 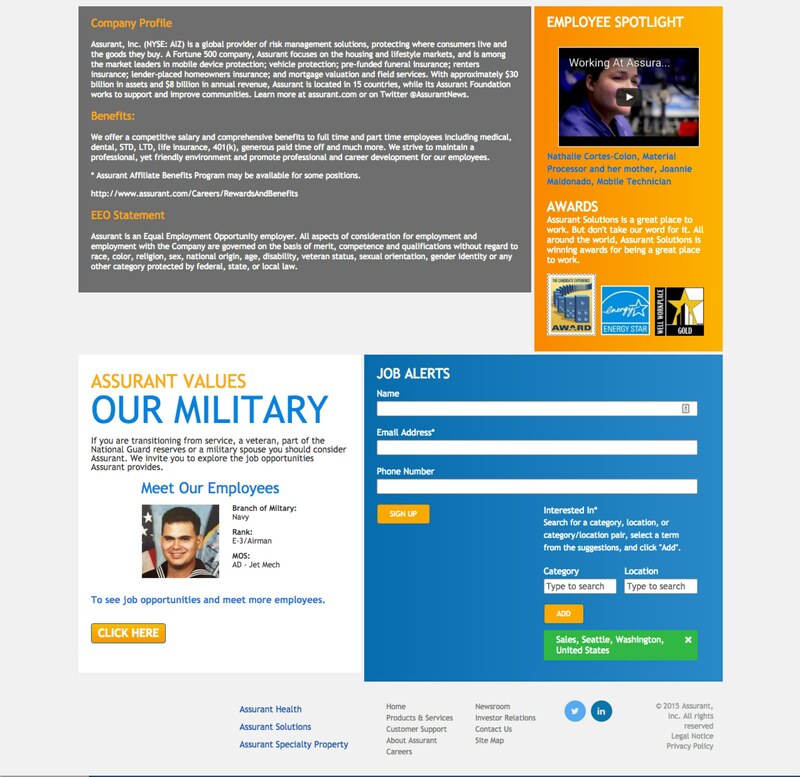 From the HTML it looks like they used an agency (TMP) to do this with an iFrame that allows them to combine a nice picture and job search at the top. 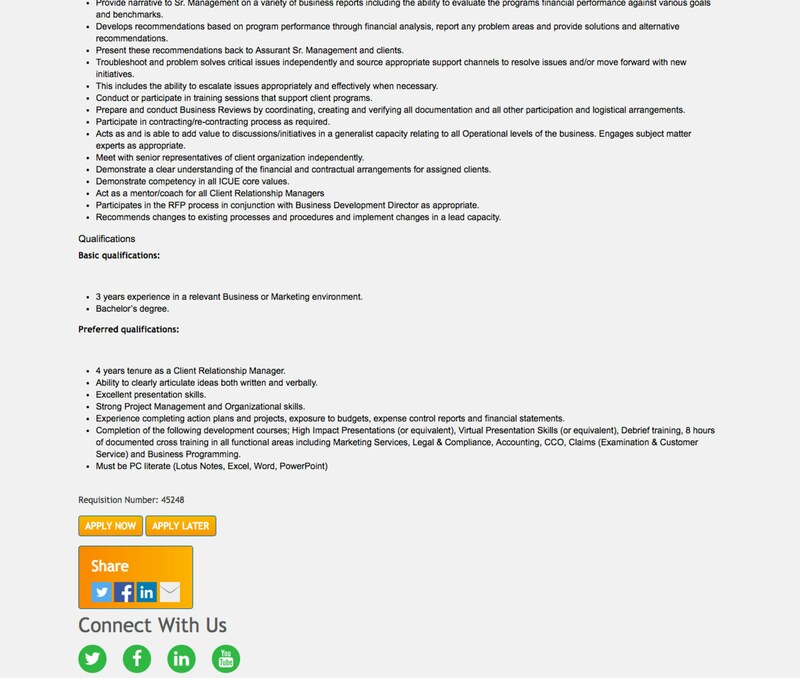 In the middle it looks like they implemented the job description text from Taleo and then finally some extra company profile information, a video, and an email job alert at the bottom. It was so long that I took 3 screen shots to show it all below. Note: You may also be interested in Look What Red Bull Did with their Taleo Job Postings to Make them Awesome. If you want your job pages to look this awesome, and you don’t want to use an agency, you can do so automatically through Ongig (which acts as an experience engine between any ATS and your candidate. About the Author — Rob is the Co-founder & CEO of Ongig which attracts the best talent faster through cloud-based next-generation job descriptions (integrating with Taleo and all major ATS’s). Yelp, Autodesk, Verizon Digital and GoDaddy are among the early clients of the Ongig SaaS.